An oil category (in comparison to high oleic and linoleic) that finds a middle ground between the two extreme fat make-ups. 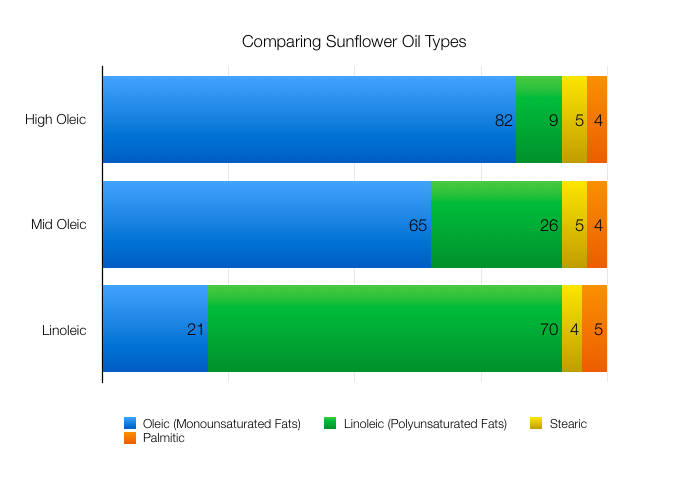 In a mid-oleic sunflower oil, for example, oleic acid accounts for roughly two-thirds of the fat content, while polyunsaturated linoleic acid comes in at roughly 25 percent, and saturated fat makes up about 9 percent. Mid-oleic oil retains high enough levels of linoleic acid to remain an excellent dietary source, but the relatively high levels of oleic acid make it less prone to rancidity and breaking down, eliminating any need for hydrogenation and the resulting trans fat.